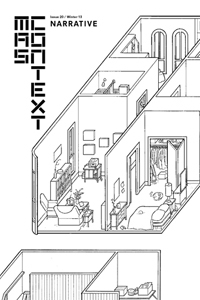 Conducting research on “architecture comics” is a very enjoyable activity. First, because the richness and diversity of such comics is amazing; and second, because their authors are generally very willing and happy to tell extensively about their realization. 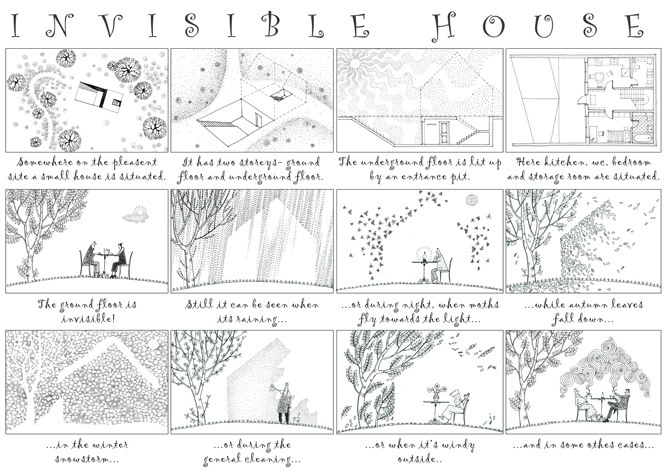 The term “architecture comics,” here, refers to comic strip stories in which architecture plays a leading part, most of which have been made or commissioned by architects. 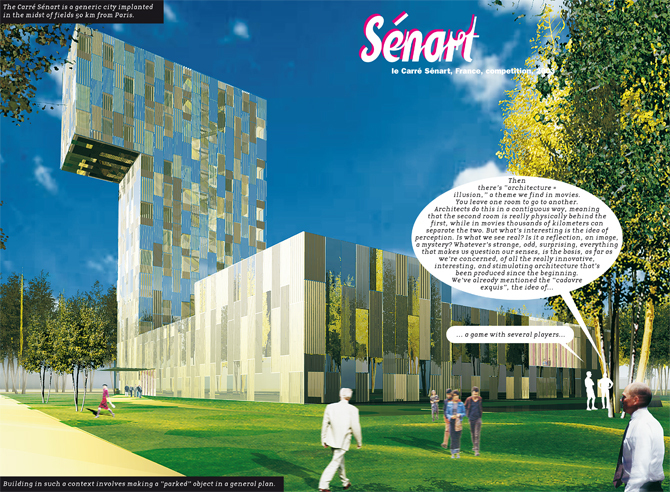 In terms of content, the comic strip enables architects to present a project or concept or to express a critical standpoint. In terms of size, the comics vary from a single picture in which a complete story is told, to whole books of 300 pages or more. Some appear as web publications, others as “real” books or as part of an exhibition. Stylistically, they can be hand drawn, computer-rendered, compiled from a series of photographs, watercolour artworks, or various other documents. To most architects who dared to try an experience with comic strips, such an excursion outside their own discipline meant a lot. 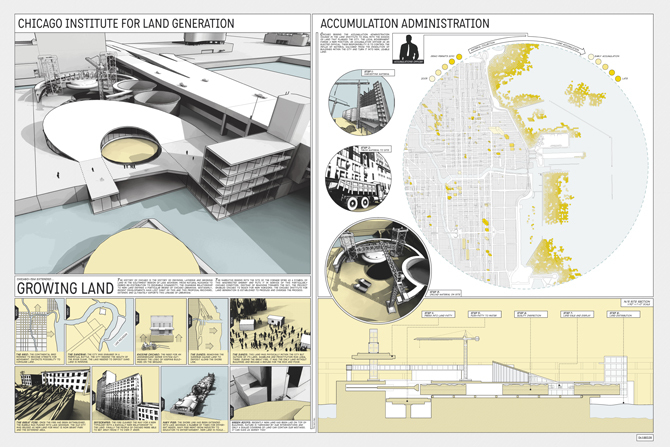 As argued and illustrated in this issue of MAS Context, architects have, again and again, displayed an obvious interest for the construction of fictive and documentary narratives. Nonetheless, moving off the beaten track of standard visualizations is no self-evident course. Even for the most passionate comic strip fans, this kind of experiment contains the danger of not being taken seriously. This has much to do with the fact that the comic strip has long been regarded as a bit of an outsider among the other art forms, or has even been dismissed as an ephemeral and superficial form of popular culture. It is true that since the end of the previous century, with the opening of comic strip museums, the recent popularity of graphic novels, the founding of several academic journals and research groups, and the organization of conferences, the comic strip idiom has gradually gained more recognition. Nonetheless, architects who create comic strips are aware that the genre still suffers from all kinds of prejudices. Architects have various reasons to build bridges to the world of comic strips, most of them related to a dissatisfaction with more conventional modes of representation and communication. Many mention the wish to reach a wider or different target group. Also, most of them want to position and distinguish themselves in their comic strips. 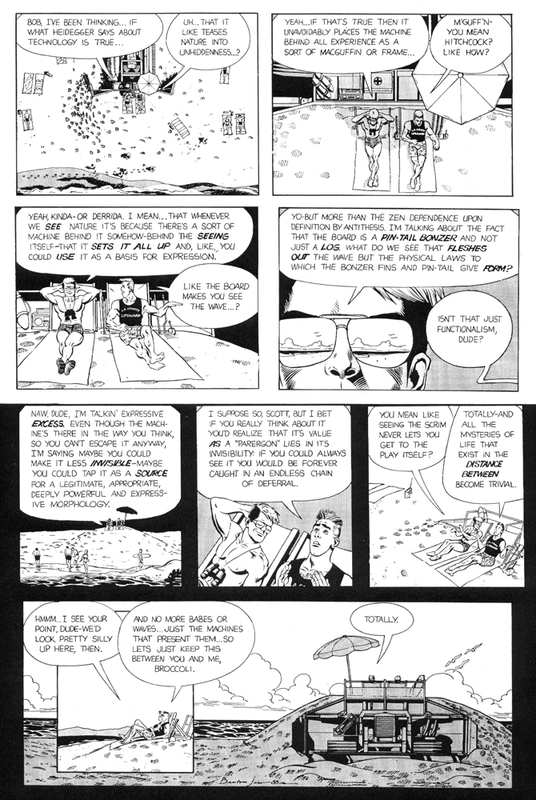 To them, the comic strip is not merely a sequential form of representation that they apply to depict their work; it is also a mode of thought with which they have come to identify, and it concerns the propagation of a certain architecture, or an attempt to realize specific principles or standpoints. The comic strip, more than a means of communication, literally contributes to the production of architecture. 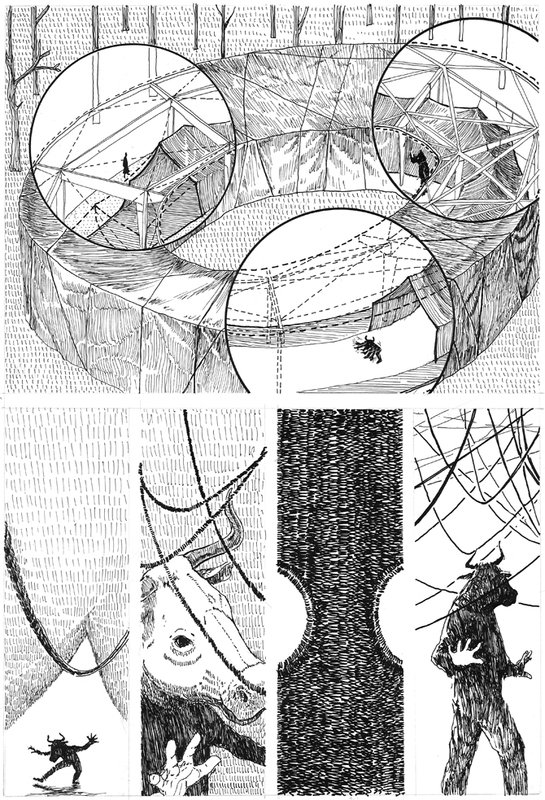 A few examples of “architecture comics” are relatively well-known, and have appeared again and again in publications dealing with the subject: Willem Jan Neutelings’ winning entry for the European Patent Office in Leidschendam (1989) and the strip-like logos with which he summarized the essence of his design concepts all through the 1990s, Schuiten and Peeters’ Cities of the Fantastic series (started in 1983) and their scenographic realizations for Parisian and Brussels metro stations, Joost Swarte’s sketches for the Theatre Hall in Haarlem (opened in 2003), and Bjarke Ingels’ bestseller Yes Is More (2009), to name a few. People interested in the subject will probably soon find themselves immersed in the fascinating world of Jimenez Lai’s largely autobiographic Citizens of No Place (2012), which will be featured in this issue of MAS Context and was previously presented in the “Living” issue (2009); they will be surprised to find out that Herzog and De Meuron’s Studio Basel realized the 300-page comic strip Metrobasel: A Model of a European Metropolitan Region (2009), and that Jean Nouvel asked three comic artists to animate some of his (as-yet) unrealized designs at his retrospective exhibition in 2005. 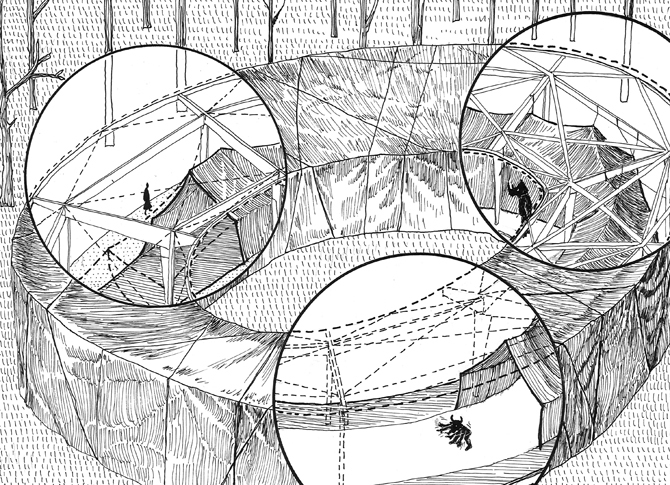 Yet, apart from these recurring examples, there are a number of lesser-known architects and offices that have integrated their interest for comics into their daily practice, and can be said to be permanently reflecting on the medium’s potential. It would be difficult to underpin the idea of a coherent “strip movement” within architecture, since the vast majority of the authors are scarcely aware of one another’s comic strips. Also, beyond a concise, communal frame of reference, there are too few correspondences to be able to talk of shared origins. However, there does appear to be a coherent whole when regarded from a thematic viewpoint: the discussions held with all the authors indicate that they have similar motivations and approaches and are engaged with communal issues, although they use diverse angles of approach. The six young Russian architects who joined forces under the name of Quiet Time have not yet agreed on the extent to which their artistic and narrative work might be substantiated in concrete architectural practice. On weekdays they all work for medium-sized architecture firms; in the evenings and at weekends, Quiet Time offers them a refuge where they can work on architectural competitions without any restrictions, can debate on architecture and give shape to their ideas. A few years ago, they became acquainted with the Japanese Central Glass International Architectural Design Competition and the Shinkenchiku Residential Design Competition that, unlike the majority of architectural competitions, do not encourage participants to design “real” buildings. Quiet Time seized the opportunity to develop a series of very poetic competition entries. It is often the extreme restraint, the minimalism of the designs, combined with the subtle humor of the sophisticated drawings that constitutes the strength of Quiet Time’s concepts. Unlike the previous examples, there are also some other architects, such as the Americans Jimenez Lai and Wes Jones or the Norwegian firm Fantastic Norway, who have made it their business to interweave the two disciplines as much as possible. At Fantastic Norway, subjective approaches and attempts to achieve a more equal form of communication between architects and users have always been of the order of the day—for instance, through the realization of comic strips. Fantastic Norway not only seeks to emphasize the highly individual quality in the observations and experiences of other people, they also feel it is of great importance to maintain sight of the degree of subjectivity in their own reactions to different places. After receiving their degree in Architecture, the two partners travelled all over Norway for three years, to speak to people about their living environment and their corresponding ideals, about buildings and events that give a location its specific identity. 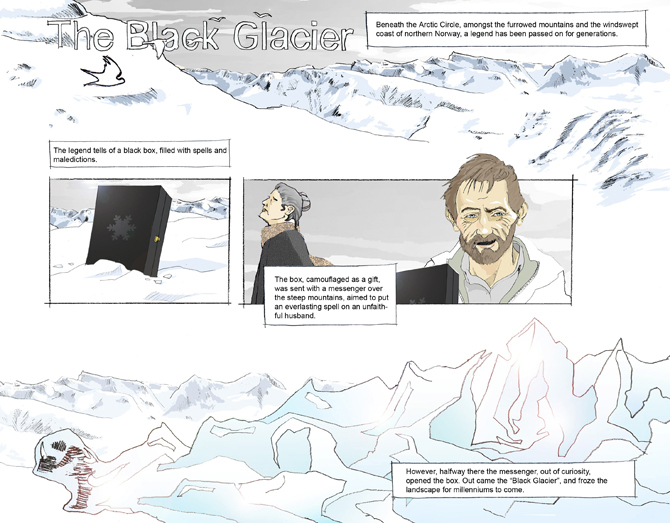 The comic strip Black Glacier arose in 2007, out of their fieldwork. A local entrepreneur asked them to develop a concept for a hotel that would entice visitors to stay for at least one night near the North-Norwegian Svartisen (Black Glacier), which up to then was not much more than an intermediate stop where they could park their cars and take a few photos. The architects used the myth of the genesis of the glacier, about an adulterous husband who is enchanted by a mysterious black box, and tried to charm people by firing their imagination and curiosity. Jones has been very successful in his use of the comic strip, not only in order to express a critical standpoint, but also for design presentations. In 1988, then-still partner of the office Holt Hinshaw Pfau Jones, he even won first prize for the Astronauts Memorial at the John F. Kennedy Space Center with a comic strip. Other offices, such as the Berliner Peanutz Architekten, the Parisian Périphériques Architectes, or the Rotterdam-based Urbanisten, have made innovative attempts to use the comic strip for design presentations or the explanation of their concepts. Peanutz, for instance, wished to poke fun at the conventions in their professional field and felt that they could say more in comic strip form than they ever could by means of photographs. In their nine strips for the travelling exhibition Wonderland in 2004, the medium enabled them, in an exceptionally quick and efficient way, without much text, to link designs or realized projects with their underlying narrative: the concept, the process from which each project arose. Several other offices opted for comic books, but maintained photographs instead of drawings. 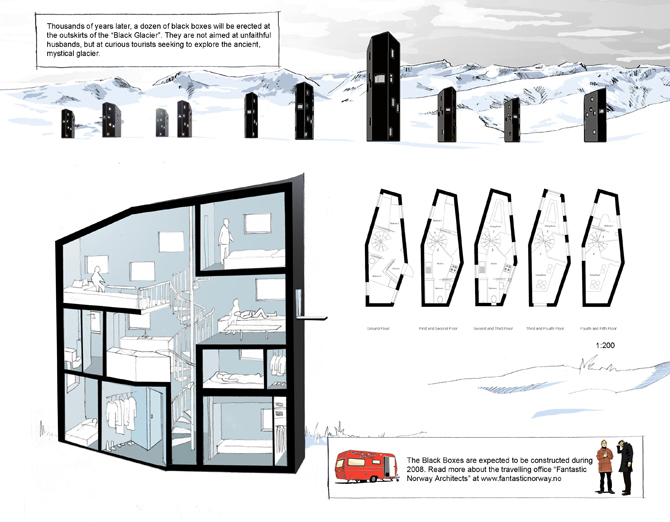 The office De Urbanisten, for instance, inspired by Bjarke Ingels’ bestseller, were enthralled by the accessibility and sequentiality of comic strips and by the possibility of combining various media (diagrams, sketches, renderings, photos of scale models, the surroundings, and portraits) within this style. Their book De Urbanisten and the Wondrous Water Square (2010) unleashed great enthusiasm and gave their water square project a new impulse. 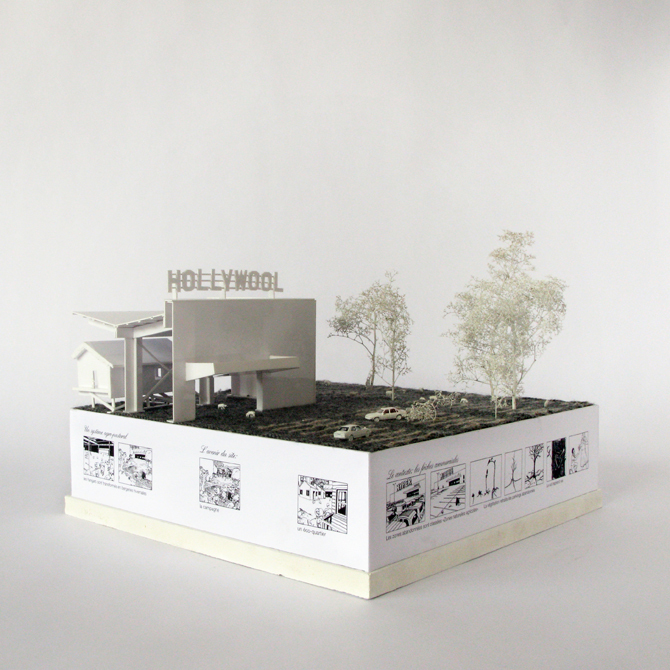 For Périphériques Architectes, who realized several photo comic books, this was a means to add personal comments to the photographic documentation of their projects and distinguish themselves from architectural presentations that are generally strongly anonymized. Charmed by facets of popular culture, they rejected traditional, slick architecture photos and replaced them by photos with a deliberately impure and fragmentary character. Further, they wished to have a text—preferably a dialogue—in which the lightness and vitality of the spoken word would not be lost; they embraced the image-text synthesis so characteristic of comics. 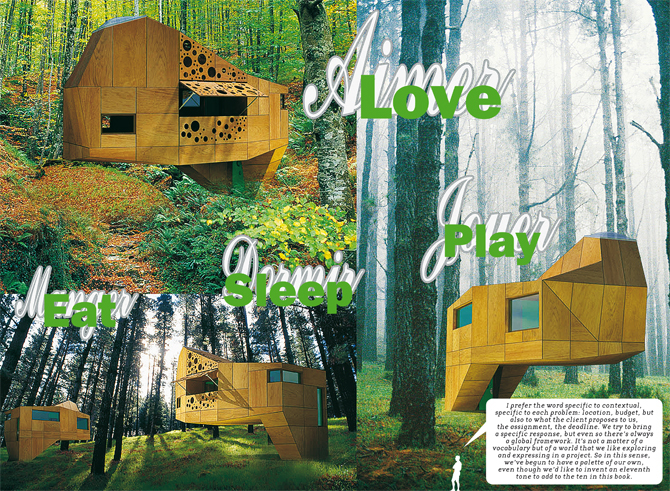 Their book News: 25 Projects by Périphériques Architects (2003), for instance, was typical for Périphériques’ quest for innovative architecture publications in the hope of reaching a wider target group. It became a ’fast’ product for both the makers and the readers: efficiently produced and low-threshold, ideal for rapid reading, it included some projects that had actually just been completed. Architects who seek refuge in the comic strip often do so as a result of disenchantment with common forms of presentation. Notably, they regret the lack of vitality in “sterile,” computer-generated images that have no connection with reality and miss the “pulsating emotion” (atmosphere, motion) of pictorial representation. They also mention the meaningless silhouettes that are later added to such renderings as scale indicators without further depth or significance. 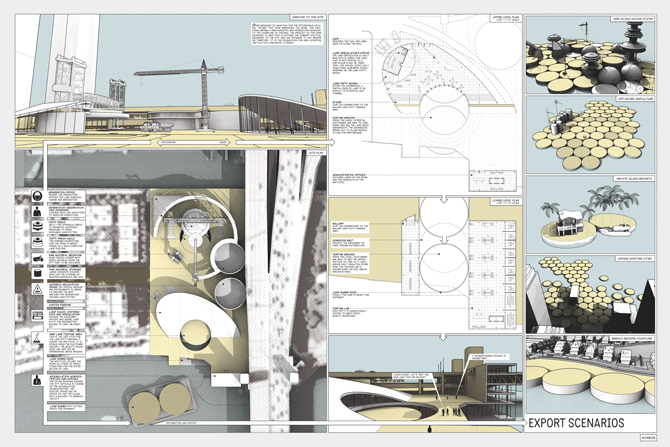 The role of the characters constitutes one of the greatest differences between comics and architectural visualizations. In a comic, they are literally and figuratively at the forefront. They fill the image and determine the storyline. Their environment (including architecture) gives further indication of the situation in which they are involved and the state of mind in which they are. Architecture is subordinate to the story and to what happens to the characters. Exactly the opposite happens in architectural visualizations. Some architects even fear that characters distract from the design. The use of the comic strip in design presentations can, at times, present some difficulties. This complex art form might lose an important part of its value if implemented in a way that is simply too didactic. Also, the workload associated with its realization is frequently underestimated. Often considered as a fast medium, the comic generally saves time in explaining various things, but it can take a huge amount of time to produce it. Besides that, the medium is not suitable for all target groups under all circumstances. Some architects have posed the question as to “how much” of a building you can or should actually show without impeding the imagination of the reader. 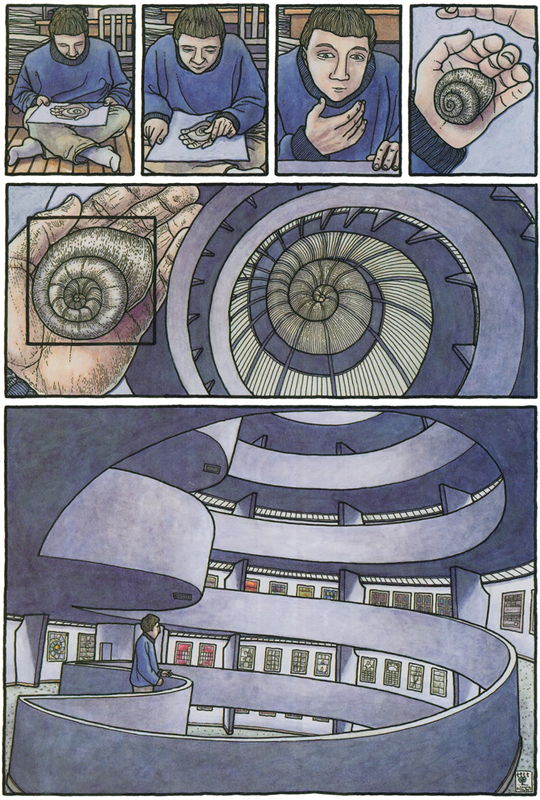 Finally, some people question the extent to which comic strips are capable of depicting contemporary architecture, if at all. This may be traced back to the fact that professional cartoonists themselves are rather reticent about this, so that the architects perhaps lack convincing examples. Despite these recurring issues, various architects have managed to demonstrate the enormous potential of the comic strip as a design presentation form. Some others have even indicated that it has an influence on the architecture that arises. They pushed their use of the comic strip beyond the limits of the genre, in that the strip was no end in itself but a means to initiate something else. 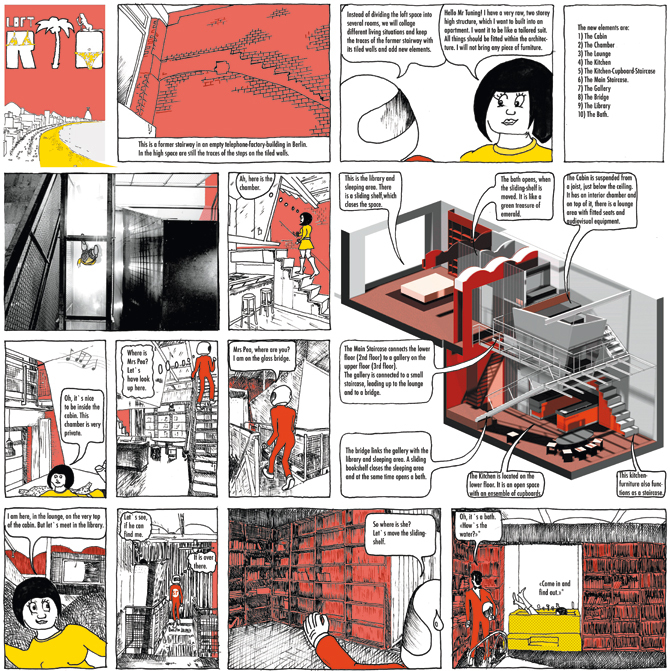 The comic strip Tod eines Bankiers (Death of a Banker) (2004-2005) by Swiss architect and cartoonist Matthias Gnehm, for example, functioned as a catalyst for ultra-realistic discussions at the highest levels: among architects, politicians, and investors in architectural Zurich. Gnehm found exactly the right balance between fiction and reality, thus efficiently stirring debates on topical issues between various parties concerned. For the Make Believe exhibition in Chicago in 2010, Design With Company realized a “real-life comic.” Not only would their installation become more comprehensible by means of a comic strip and subsequently be immortalized in another strip, the installation itself would also take on the form of a three-dimensional strip: a built meta-comic. They wanted to keep visitors guessing as to which elements were real and which were not, and give them the feeling that they themselves were in a comic strip. The two partners see great potential in the relationship between a concept and its representation: “There is a lot of creative territory by not thinking of images or print media as sub-architecture or as not being part of the building itself.” Form and content, in their projects, are always closely interwoven: “We are looking for ways that the representation of buildings and the buildings themselves start to collapse upon one another.” Their projects give an impression of the extent to which using the comic strip in architecture can become part of the design process—not solely as a mode of presentation enabling architects to visualize elaborate ideas in retrospect, but as something that is part of a project from the start, helps to generate concepts in the first place and has great influence on the shape and realization of three-dimensional objects. This research was made possible with financial contributions from the Netherlands Architecture Fund and Netherlands Foundation for Visual Arts, Design and Architecture.